In December 2017, I contacted the main corporate and some independent film venues in Toronto to canvass their provision of access to hearing assistance for the *Deaf, deaf and hard of hearing. Cinemas are only able to provide captions when production companies include the files. But who has what capabilities? Before you scroll away because you “don’t know any deaf people,” consider this: you may think you don’t, but a lot of people don’t advertise their deafness because a) it doesn’t define them and b) it’s frustrating to keep explaining it repeatedly to hearing people. Also, hearing folks do use captions: English language learners; people needing cognitive support with visual reinforcement; watching shows with heavily accented or audio-obscured speakers; and in noisy places or where the volume is off or problematic. To read about my personal experience using assistive tech in a cinema, read this article. 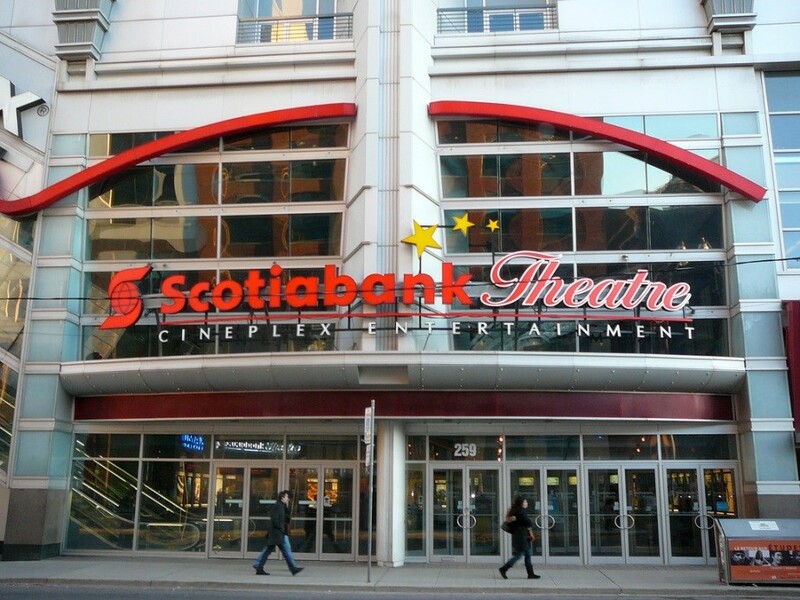 But here’s my experience accessing information about captioning and hearing-assistive devices in eight Toronto cinemas and chains. 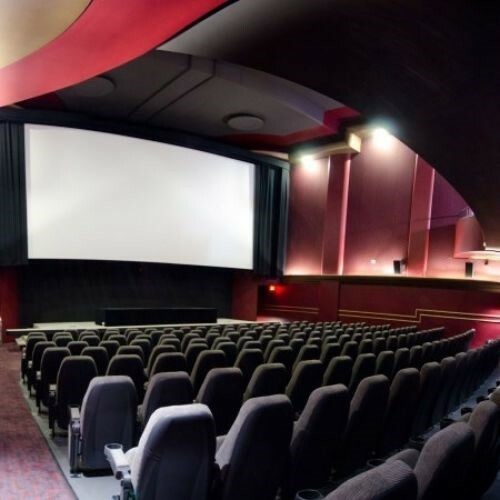 I've looked at your accessibility page, and I'm writing to get up-to-date information about the availability of listening assistance at your cinema[s], be it open captions or assistive technologies. I'm in Toronto. 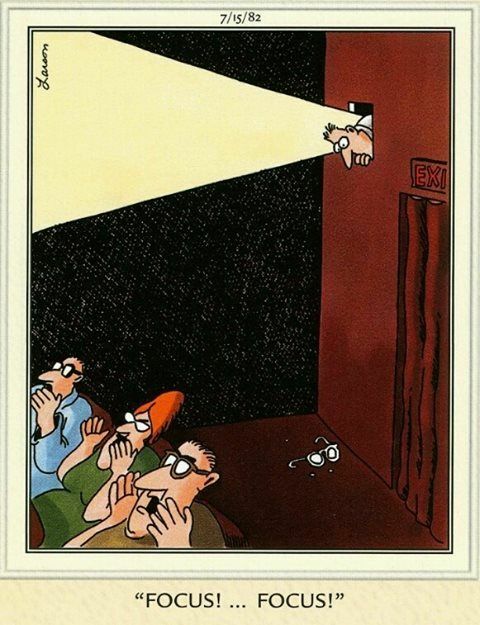 Can the Deaf, deafened or hard of hearing attend movies with full access? Do I just show up and any showing will just have assistance available? Here are the fascinating results of my inquiries. If an individual reads my email, they'll see I've reviewed the website and am requesting up to date information—i.e., has anything about availability changed?, etc. I'd appreciate a non-automated reply. Thank you for contacting Cineplex. If you need more information on what each device does see the links below. When you go to your local theatre simply request either device from the box office and the staff will be happy to set it up for your show. But would it be possible to implement a search function so that we can look for films with CCs rather than clicking through every possible movie and theatre to see if they have captions/assistance? 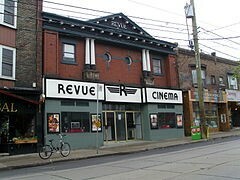 I think I will also have to approach cinemaclocktoronto.com about considering adding a search feature, since most of us look for movies online in one place, not at the discrete sites of cinema corporations. I will happily share your feedback with the IT team in the hopes they can add that functionality. Please note you can search individual theatres and their showtimes at the bottom of each of those links I sent you. Hm. I think a chat with Powers That Be about searches and increased access would be fruitful...if only I could reach them. 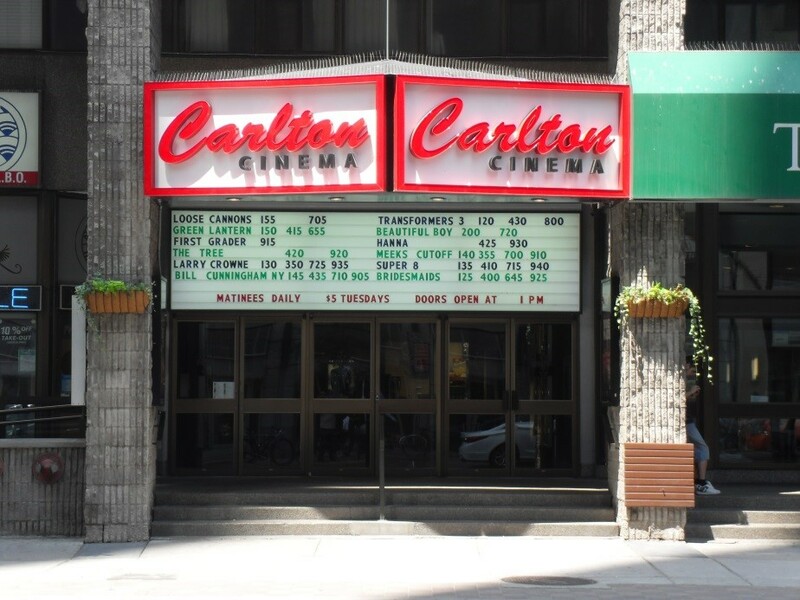 The much-loved local Carlton and its related cinemas have demonstrated commitment to accessibility for audiences and employees, which I have respected greatly. Plus, their staff are outstanding in their customer service, and their reply reflected some of that. We have a few locations with assistive listening devices, however we often experience technical difficulties with them which is why they aren’t advertised. We also have a few locations that play open caption films on certain days/ show times. I will forward your email on to our Carlton and Market Square locations as they are our DT [downtown] Toronto locations and would have a better idea as to what they actually have. Our Carlton location have headphones that amplify sounds but no open caption. Our Market Square location has assistive listening devices but have expressed that they don’t work very well. They do however have 1 open caption movie a week (see screenshot on how it would appear). They are the ones that say OC. The upcoming week they are playing The Greatest Showman and the following week is Star Wars. Cinema clock is a third party website so unfortunately we cannot control how they display content. Customer service first prize to Imagine! They already show one captioned movie a week—not what I’d call fully accessible but certainly open and willing to improve. 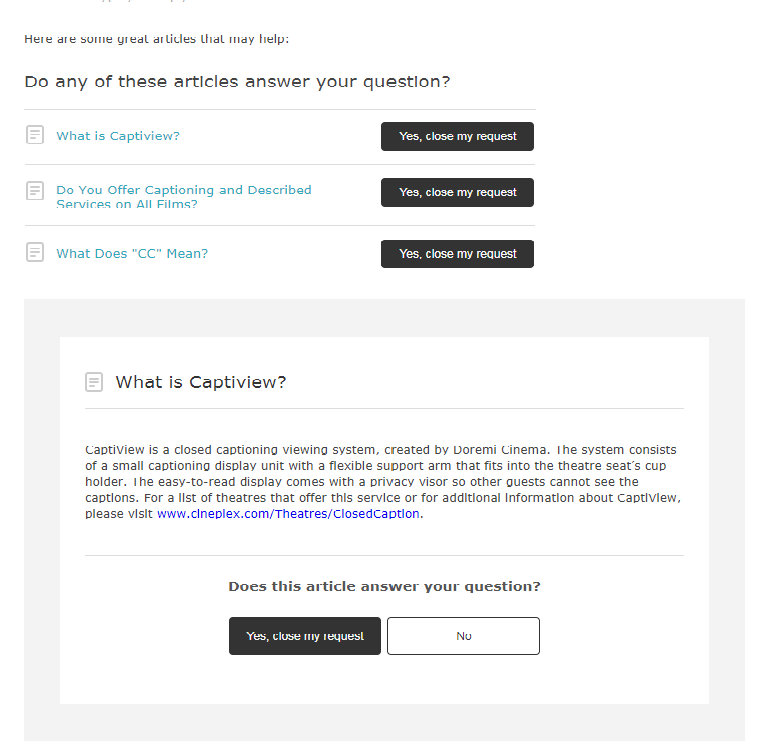 They admitted their lackluster customer feedback and communicated that openly to me. They were also the first company to reply—the same day I emailed and a week before the other replies began to trickle in. Small chain, bigger heart? 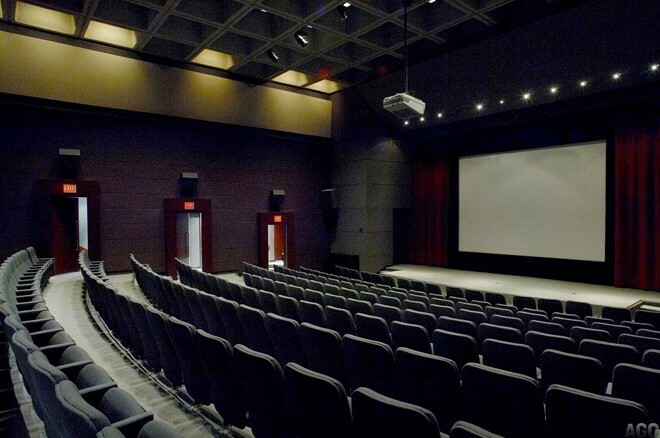 At the moment Jackman Hall Theatre is not equipped with open captions options or assistive technologies. We are able to transmit, however do not have the devices in house. It would be up to the client to provide the film with captions built into the film as well as provide any devices or hardware. We are working towards upgrading our venue in order to be more inclusive. At this time we not able to assist with deaf, deafened or hard of hearing patrons with full access unless the film is subtitle or a client provides the assistive devices/hardware. I found this interesting considering that it is in the AGO, which is 33% government funded, and that the AGO Transformation, which included the renovation of Jackman Hall, was completed in 2008. The $276 million project couldn’t throw in some hardware then or since?? Bell TIFF Lightbox’s reply was interesting in several ways. 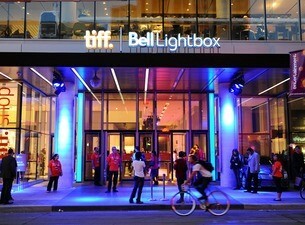 Thank you for your email and interest in attending films at the TIFF Bell Lightbox. Hearing Assist (which raises the volume for visitors with slight to moderate hearing impairment) is available for all of our screenings as it is provided by our theatre. The availability of Closed Captioning and Descriptive Audio is dependant [sic] on the copy provided to us by the distributor. If we have films that come with Closed Captioning or Descriptive Audio we will display that information on our Website. When you arrive at the cinema please inform Box Office staff that you require additional equipment and the staff will be happy to assist you with the set-up and procedure. They said Hearing Assist was used as an amplifier but a phone call confirmed the brand was Listen, so this doesn’t seem to be updated info as requested. I’ll also add here that during December, as a TIFF member, I received nine donation-dunning emails between the 13th and 31st, with clickbait-worthy subject lines like “You’re on my mind” pleading for access to our thoughts about connection and access to members’ wishes. I am seriously considering cancelling my membership. It will be dependent on the response I get when I email them. If they’re really serious about “want[ing] to know what you think,” they may bite. I wrote back asking about a search function for CCed films. We are glad to hear the information was helpful. At this time we do not offer a feature on our website like the one you have described but I have passed your email on to the department that handles the website for consideration when planning future updates and features. In the mean time [sic] clicking through the various films is the only way to see the information regarding Closed Captioning and Descriptive Audio. Both in email and in person, I was readily informed that Call Me by My Name has CCs. This is incorrect, and I suspect a lot of venues and services, perhaps unwittingly, plug such films as accessible to the non-hearing: that film’s dialogue includes three languages, which are subtitled for marketability; it is not accessible in that it was intentionally released with non-hearing audiences in mind—that is captioning. 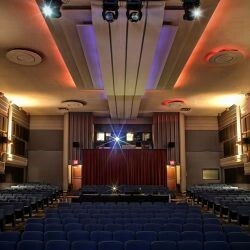 The old Bloor Cinema seems to be typically at the mercy of producers’ inclusion (or not) of caption files. I suspect most documentarians are making their films on low budgets; however, some are backed by humanitarian organizations, and you’d think their mores would support full accessibility. 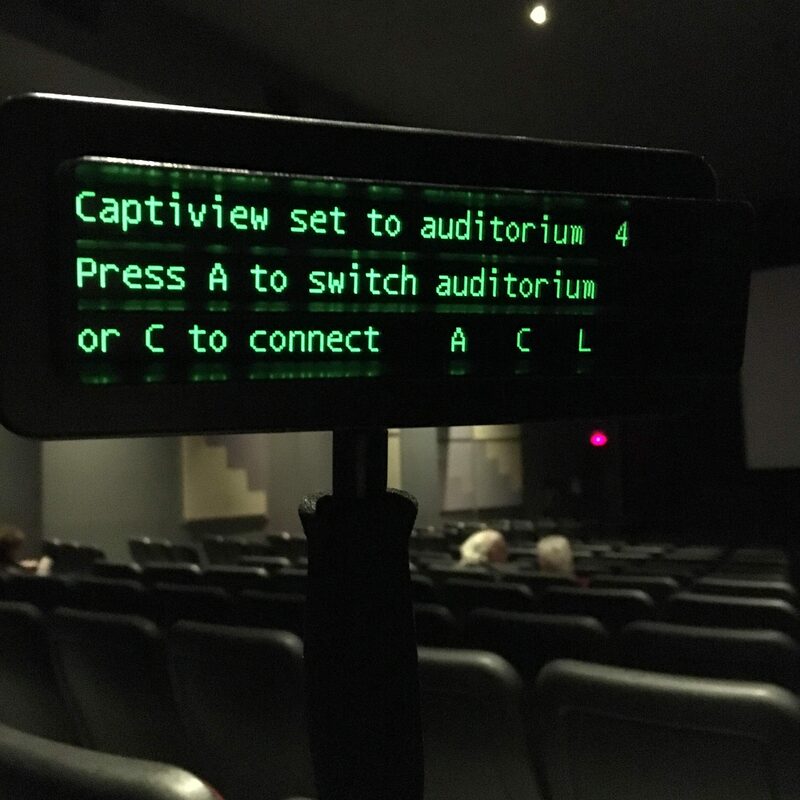 (Perhaps some PhD student can do some research into how many docs are captioned…) And, frankly, I’m surprised when the theatre was renovated, some funds weren’t allocated for assistive equipment like CaptiView. Surely some doc files are captioned? Firstly, for each screening we can provide head phones that allow the viewer to increase their own listening volume independently. For more specific hearing aid devices, such as closed captioning, the most up-to-date information would be available at our Box Office, per screening; each documentary comes with/without its own set of closed captioning and hard of hearing accessibilities. The best option would be to call our box office the week your preferred documentary is showing and ask for the accessibility options on that specific film. We currently do not have assisted listening devices available at our theatre, But we are working on it. So sorry for the inconvenience... We will make it a priority to attain these devices during the new year and you will be contacted promptly once we have acquired a few. Note the apology and plan of action. Good sign! I’ve made a note to check back with them. Through several emails, I learned that the Royal generally does not offer access to deaf-assistive technology but does, interestingly, have two series events that feature access vehicles: Drunk Feminist Films and Screen Queens, the former having hired ASL interpretation in the past due to a small Deaf community being involved. The other reason for provided captions is that events have live comedy commentary over top of the movie through microphones, thus captions allow people to listen to the comedians talk about the movie while also watching the movie. But with general programming, like all cinemas, they are stuck with only being able to provide captioning when it is provided by movie producers. I also emailed this clearinghouse of movie listings to see if the search function could not be tweaked to include a way to find only those movies with CCs. The email envelope icon on their home page does not work, so I went to their Contact Us link on the More tab and filled out an online form there. After three weeks, I have not heard back from them. 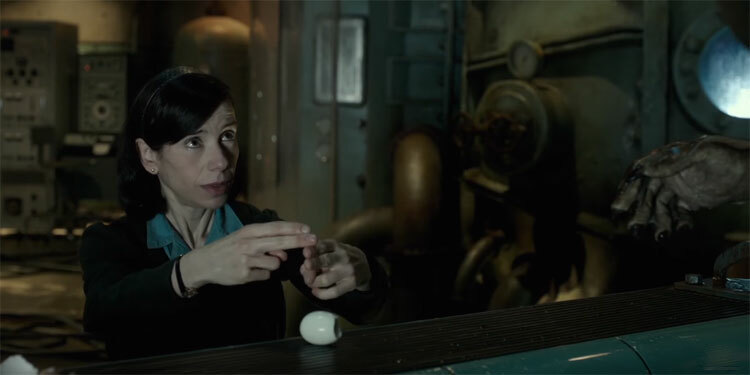 I’m going to assume that we have it relatively good in Toronto and that access to assistance for deaf moviegoers is generally sketchy or non-existent in most smaller Canadian cities and towns. If you know otherwise, please share information in the Comments. If you're interested in accessing more caption options (i.e. for any time slot, not just the cinema's dead day), have a polite chat with or send an informative email to the management. Eventually, feedback will work its way up the corporate ladder and maybe—one day—access to movies for the Deaf, deaf and hard of hearing will no longer be considered an extra cost or frill. It'll just be going to the movies.